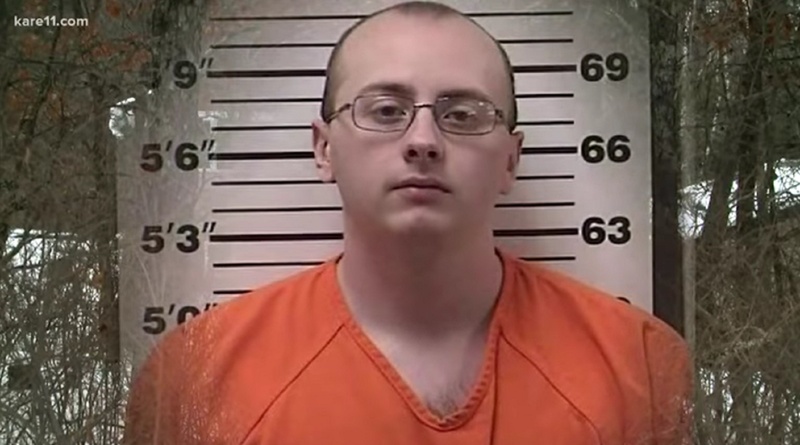 Authorities say Jake Patterson has confessed to kidnapping Wisconsin teenager Jayme Closs, and murdering the girl's parents. A criminal complaint revealed Monday indicates Patterson was a stranger to his victims. Patterson told detectives he first spotted 13-year-old Jayme boarding a school bus on Highway 8 while on his way to work at the Saputo Cheese Factory, where he was employed for just two days, Fox News reported. "The defendant stated he had no idea who she was nor did he know who lived at the house or how many people lived at the house," the complaint read. "The defendant stated, when he saw (Jayme), he knew that was the girl he was going to take." According to the Daily Mail, Patterson bought a black balaclava mask and visited the Closs home twice with the intention of kidnapping the girl, but held off due to too much activity in and around the house. On Oct. 15, Patterson drove up the Closs' driveway with his lights off and approached the house. Jayme recalled being awakened by the family's dog barking, and she went to get her parents up. Her father, James, went to the door where he ran into Patterson, who yelled at him to get to the ground. Closs was looking through the glass window of the inner door when Patterson reportedly shot him in the head through the glass, using a 12-gauge shotgun he'd stolen from his own father. Patterson then shot the doorknob and forced his way into the home, finding Jayme and her mother, Denise, wrapped together in a bear hug while cowering in the bathroom shower. He wrapped Jamie's mouth and head in duct tape, proceeded to tape her wrists and ankles, and made the teenager stand next to him. Patterson then shot Denise in the head before dragging Jayme outside and throwing her in the trunk of his car. Patterson hid Jayme in a remote cabin for three months, before the girl escaped and sought help from a woman walking her dog in Gordon, Wisconsin, more than an hour from the Closs home. Barron County Sheriff Chris Fitzgerald told CNN that there appears to be no link between Patterson and the Closs family and that "there was no social media contact or digital footprint connecting them." The Associated Press reported that Patterson only learned Jayme's name after kidnapping her and learned the name of her parents from news reports while he was in hiding.